Read our SEO guide for small businesses to help your website generate more traffic and results. Whether just starting out or you have some experience, our SEO for small business guide is full of tips, advice and actionable ideas to help your website create more traffic and results. Within this article you’ll gain a broader understanding of many fundamentals, how things work, along with things you should know and can do in order to grow your business and get more from SEO that will have a direct impact on your business. SEO stands for search engine optimization, and is the process of optimizing for results so that you can have better visibility to rank within the top search results to get more website visitors. The simple way to explain how SEO works is to mention there are two aspects, on-page and off-page SEO. For on-page SEO, this is related to website elements and optimization, from title or alt tags to site architecture and URL structure. For off-page SEO, this is about your ability to place or acquire links, which are considered the primary factor for getting results with SEO. There’s a number of ways for small businesses to get customers, from paid search like Adwords, Social Media at times, along with SEO. Small business SEO is what some consider free traffic, but it takes time to make it work. When you consider that time is money, it isn’t free traffic at all. However, it can be one of your strongest inbound marketing channels for driving qualified leads and customers when it starts to work for you. When it comes to SEO for small business, it’s one area of marketing that you can grow which isn’t necessarily limited by your budget. While paid search will provide so many prospects within your budget and social media can be hit or miss, it’s SEO that can be incrementally scaled. If you want to “turn on” traffic, that’s paid search, but it’s costly and most businesses don’t get into optimization for campaigns, cost per acquisition, multivariate testing or conversion optimization. When campaigns are small and you have a business to run, who has the time. Also, if the campaigns are small, the gains are going to be minimal, but it is a source of traffic. To better understand the big picture of SEO for small business and how things come together, it’s important to know how things work at a high level, so you can make the most of your efforts. The following describes many aspects to help understand some basics for search engine optimization and how to make the most of it for your business. Every website has it’s own reputation according to Google. This is what some refer to as ‘site authority’. This is mostly established around the quality of links, and to some degree the quantity. Another consideration is how relevant those links are. Let’s start with relevance. If your business is related to contracting, the websites that typically would link to you are likely to be related. This could be plumbing, painting, renovations, interior design, and sometimes business themed websites. A contracting website with links from others about crafts, cooking, dogs, gadgets or clothing would seem less relevant. There are times when an off-beat topic can make sense for a link, and it can depend on how and what it’s about. Using the contractor website example, if the site had a post or page about the top 5 work boots and a clothing site linked to it, the topic relevance is less logical. Your content strategy should connect to your SEO efforts. If you’re a contractor, you would probably be more interested in attracting interest from people that would be looking for renovations versus what you think the best boots would be. The relevance and authority of the links that you attract (or place) influences your own website’s reputation. Another way to look at it is the company you keep says something about you. There isn’t a single tool to tell the whole picture of site authority, but a few ways to get a sense of things is using websites like Alexa, Moz’s open site explorer (OSE), and other options like Majestic, AHREF’s and Quantcast to gauge things. Google once offered what they call pagerank, but no longer updates the public facing version. As a very general reference using free tools like Alexa and OSE, a website that ranks within the top million (closer to 500k or less) on Alexa and a domain authority (DA) of near 50 or more on OSE would be positive signs. The best way to get a feel for these tools is try a variety of websites, some related, some competitors, and a few others. Try a local news site, a popular one you know of, and near a dozen others and you’ll start to get a sense of things. The type of links created for your website matter. If all your links are directory submissions, these are low quality, and even if it’s working for you now, it’s inevitable that rankings will drop. Consider directory pages for a moment, as the thinking is transferrable when analyzing page value. These types of pages are mainly a bunch of listings of name and address details. They don’t have any real context other than being a list of businesses. Also, it’s very rare such pages like this have links, which means they would not offer a lot of value. Now consider a link within an article, surrounded by copy and text about a topic. The words provide context, along with the title and links to the page that allow an algorithm to “understand” what the page is about. This type of page content is more likely to earn links from related resources and articles, making this type of link more valuable. It’s also worth noting that the placement of the link is often of lesser value, like those found in a side column like a blogroll or within a footer. It is links within a page or article that are of higher value, especially when the site and page are relevant to the website it links to. Such pages are also more likely to have relevant links to them. When context is mentioned, it refers to the language on the page. A simple way of looking at how pages are indexed is they are crawled by a search engine bot or spider, analyzed by an algorithm to identify topics the content mentions, and programmatically indexed and categorized for later displaying in search results. While search engines don’t understand the meaning behind articles, they do understand words and their relationship to other words, which allows them to identify, rate and categorize pages of websites. So every page is crawled and analyzed, along with evaluating what website links to it, and how they are linked. The ‘how’ is related to the anchor text (clickable words in link) that are used to provide insight as to what this link is about. In some cases, pages that have little or no value are later removed from the index. Value is determined in a number of ways, from the quality of content to the number of links and where those links are coming from. Many times the anchor text is generic, such as ‘read more’ or ‘click here’ with the surrounding text in that sentence, both before and after the link, along with the paragraph, and context of the page are all factors that come into consideration. Additionally, so do the other links on the page to other websites, and its relation to the topic. How is this relevant? It provides search engines an idea of the ‘neighborhood’ in terms of its topic and relevance, to determine how a page should be categorized in their index. While this isn’t a content strategy, it will help you to create one with purpose and direction. The best place to start to create your foundation is to cover topics that are not only relevant, but with a plan in mind of how they fit into the big picture of future content you might produce. It’s also important that you perform keyword research, which we’ll get into below, to align your content strategy with the right direction. Creating content that’s related to your business, along with customer interests or intent, you want to maintain focus. It’s very easy to get off topic and start blogging about a barbeque or football game or something, and it doesn’t more harm than good. What’s produced as content on your website sends signals to what the website is about. For small businesses trying to improve local search and SEO, you can find small opportunities in mentioning regional name drops, like a neighborhood or nearby area as it can result in some very long tail results from time to time. Building out specific landing pages can work even better. If your business has multiple locations, rather than list them all on a contact page, a better approach would be to list the main office address on your contact page, and offer links to the other office locations as separate pages. Ensure every title is different and includes the city, town or area. When it comes to writing for SEO, the best approach is write for the reader, but keep SEO in mind. Your keyword research can help find direction, so you’re at least covering topics that have demand. Small things like including a keyword(s) in your title and copy help, along with the use of relevant phrases. But it’s worth mentioning again to write for the reader. Try to provide value, which increase time on page, a user action that search engines like Google monitor. Also, when your content does offer some value, it only increases your odds of earning natural links. Whatever your business, you are likely an expert in some or many aspects of it. There is an audience for whatever you do, and how you go about demonstrating this knowledge will help one way or another. This might be industry insights, how-to articles and tutorials, commentary or advice, there’s really no limit. If struggling, look for inspiration from others within the same space to develop content strategies and develop your own. When doing keyword research, you can use the tool in Adwords to get details on what the monthly search volume is to identify demand for a topic or phrase. This is important to not only your SEO efforts, but also your content strategy. All too often there is content created that doesn’t have a hope to bring any organic traffic, which is mainly why it’s created. Yes, you can share on social to try and get some visitors, but the lifespan of social is seconds or minutes, where the lifespan of organic traffic through SEO is for the duration of ranking. Also, organic traffic tends to convert better since it isn’t an interruption with distractions in the way that a social media mention appears in a feed. Not to say one is better, they’re just different. But I would rather rank for targeted terms and keywords as in can provide a regular source of leads and traffic. When evaluating a keyword that you’re thinking to target, it’s important to look at the level of competitiveness. There is no point in chasing a target keyword if it’s unlikely to get on page one where most of the traffic is. In fact, if you aren’t in the top 5 (eventually) then you aren’t all that visible and will see little benefit. Back to the competition. So when looking at keywords, you’ll be immediately drawn to the idea of the ones with the most search volume. Who wouldn’t. But it’s often websites with higher authority that tend to rank for these keywords. Your opportunity as a small business with a website that has low authority is to go after what are sometimes called ‘long tail keywords’. These are typically longer, such as 4 or 5 words, and lower search volume. But it’s better to rank and get traffic from a keyword you have a chance of competing on than to be stuck on page 3 and see no traffic at all from it. Another tool you can use is called SEMrush. While it isn’t free, you could subscribe for a month and export what you need for keyword research. This tool also helps you to analyze your competitors, what they rank for, and generate other content strategy and keyword ideas. Part of being able to rank includes evaluating keywords along with the competition. It’s important to mention again that targeting keywords and phrases that might be achievable will help to see results sooner. Go after the low hanging fruit when starting out. While this is a little more on the advanced SEO side of things, it needs to be addressed. We’ll simplify the topic the best we can in ways that allow you to analyze search results so you are able to make informed decisions. The best way to do so is using an example, so let’s refer to our friend the contractor again. Keeping in mind that local search is your opportunity, our hypothetical contractor lives in Sacramento, a mid sized city. Approximate monthly search volume for “contractor sacramento” is about 400 per month, but when you look at who is appearing in the natural results, it’s websites with high authority such as Yelp, HomeAdvisor, Houzz, Angie’s List, ThumbTack, BBB and Yellow Pages. These are websites that would be very difficult to beat, and would take a lot of time and sweat equity to pull it off. Another consideration when it comes to keywords is just how valid the term is in relation to the user intent. To put another way, is the keyword phrase going to convert? People searching for “contractor sacramento” might be just starting their research, and those looking at longer tail keywords have a higher probability of converting to become a customer. Something to remember if running Adword campaigns as well. The term “general contractor sacramento” isn’t much better, and still a bit generic. The search results include a number of high authority sites like Yelp, HomeAdvisor, Houzz, ThumbTack, and Porch, so it’s best to pass on this phrase too with a site that has low authority. When you get into specialties like “electrical contractor sacramento” (210 searches/month) or “roofing contractor sacramento” (170 searches/month) or “concrete contractor sacramento” (260 searches/month) you can see that the websites like Yelp, HomeAdvisor and similar might appear on page one, but only the first few spots, and there are small businesses on page one as well. This is signs of a fighting chance for your business. When you look at “electrician sacramento” you’ll have around 1,000 search per month, with review websites dominating the search results. But let’s narrow things down. Supposing our friend (we’ll call him Sam) the contractor has a specialty and he is an electrical contractor in Sacramento. Looking for those long tail opportunities that Sam might compete on, the following keywords could be of interest. But there are other opportunities when you look at regional possibilities with even less competition, such as Elk Grove, a small city just south of Sacramento. A search for “electrician elk grove ca” might show the first 5 or so results owned by Yelp and others, but there are other site’s similar to Sam’s on page one, suggesting this is a possibility too. As you start looking into all the surrounding cities like Rancho Cordova, Citrus Heights, Davis, Rocklin and more in the area are all lower competition opportunities. For sites without strong authority, it will be difficult to rank for those high search volume phrases. For small businesses, your opportunity is in local search. This is where people are looking for local products or services and you can often compete to appear in search results. Developing a local seo strategy can help you to rank higher in Google Maps and provide a boost to your business with more visitors that could become customers. 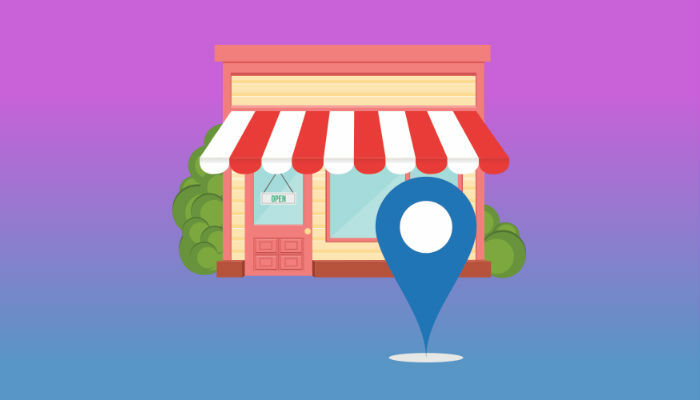 Even if your business is 100% offline, if you rely on local customers, there is an opportunity to improve customer acquisition with a local seo strategy. Every business needs a website these days, and your ability to acquire new customers depends on digital marketing and SEO for visibility and being discovered so that you can allow consumers to find you, and convert some into customers. Search results have recently changed with the introduction of Local Services by Google, another way for contractors and others to acquire customers through lead generation. It’s an alternative to Adwords and appears above the paid search listings. Below you can see Local Services by Google (outlined in yellow) just above Adwords (outlined in green) to demonstrate the layout in the search results. Under these results are business listings provided by Google My Business (GMB), with a regional map and what’s referred to as the 3-pack of top results in GMB. Appearing in GMB results relies on a few things, and google local business listing optimization stars with claiming your profile is a must. You can read more on how to optimize your Google My Business page if you haven’t already done so yet. When it comes to how you appear in local search, your Google My Business page can provide incredible exposure and visibility. In fact, you might say your GMB is essential to your business. Besides properly setting up your GMB page, online reviews matter for how you appear, and whether your business is displayed in the 3-pack results like above. Your business info probably exists across dozens if not hundreds of different websites. Often the accuracy varies, especially if you’ve moved at least once in the last few years. These mentions are referred to as “citations” and even though they don’t usually come with links, they do have a some influence in your SEO along with ability to rank in organic search, and called NAP. The term NAP is short for Name, Address and Phone number, and is in reference to the information within your business listings. These types of citations need to be consistent in format and details to make the most of them. While you don’t need to be listed on every single directory under the sun, since they don’t offer a lot of value, you want to look for the larger ones and ensure that your NAP details of your business listing are correct, and consistent. The following are a few suggestions that you can look into for improving your local search and SEO results. Another tool you can use is Majestic.com to analyze competitors for additional link building opportunities that you can explore. This is not a free tool, but subscribing for a month or two and exporting the info can be a valuable resource. The following would be suggested to register with to begin progressively building your citations and reputation management. It’s worth noting that you don’t need to be on every review website, and certain sites like Google My Business, Yelp, Facebook and a few select others are essential. Keep in mind, if it isn’t monitored, it isn’t managed. So with GMB, Yelp and Facebook, these are your primaries. Depending on your market or industry, there could be a couple more. Others to consider include BBB, TripAdvisor, HomeAdvisor, Merchant Circle, Yellow Pages, Zillow, Bing Places for Business, Superpages and others. You can also consider submitting your details to the main data aggregators that supply business listing info to most sites, such as InfoGroup, Acxiom, Localeze and Factual. If you prefer to use a third-party full service option, try Mozlocal, Whitespark or BrightLocal. Since links are considered the most influential aspect of SEO, it’s important to understand some basics about what you can do. The most natural form of link building for SEO is sometimes referred to as inbound marketing. This is where your content earns links. Using social media to promote your content marketing efforts helps with distribution, and some will do outreach by email to further their efforts. One way to leverage this approach is to include what some call influencers by either citing something they’ve said or getting a quote from them to include in an article. Once the article is published, by notifying that person you can sometimes get further distribution if they also share to their social channels. This approach is more time consuming, but the extra distribution can make the extra effort worthwhile at times as well. Another tactic often used is guest posting, which can help get in front of an audience you don’t have and provide referral traffic, as well as help with SEO. When prospecting for sites you might consider submitting to, keep relevance in mind, and check the site’s authority. Look for local options to utilize for link building, as local websites are within your ‘neighborhood’ and the more relevant the better. These can be colleagues, bloggers, associations, or maybe the chamber of commerce or a local directory. Always keep in mind that the placement and context of any link building effort such as where it might appear on page, as well as the type and topic of the page do make a difference. To appear mid sentence within an article being better than on a list of businesses or resources most of the time. While links are by far the most important aspect to achieving good rankings, there’s are an assortment of signals that search engines monitor. From social media to text mentions within articles, news and more. An example being someone with a unique name that is affiliated with a company can provide a small influence to the SEO results of a business. For example, if the owner of a company had a unique name and was quoted in the local news, and his name had appeared online before a few times, within the same context as the business, it can help. When it comes to link building, don’t overlook how a PR approach can also help. If you’re thinking that you don’t have time for all this and considering to hire an SEO, it’s worth mentioning that this can have both positive and negative results, depending who it is. For many small businesses, hiring an SEO is a risk because the costs of a good one are often out of reach for many SMB’s. The results can vary, and in a worst case scenario, your website could be banned from Google and no longer appear in search results. If still considering you might refer this advice from Google. Keep in mind that SEO is a marathon, not a race, and shortcuts can be detrimental and put your website at risk of being removed from the index. SEO is an investment that can offset expenses of an adwords campaign, but takes time. It’s more scalable than most other options, and when aligned with content strategy and research it’s a marketing strategy most can do but ignore due to less than immediate results. It’s kind of like building a brand, which doesn’t happen overnight. If you want to become synonymous with a keyword to appear in search results, you have to build your reputation. In the case of search engines, that reputation is built with links from sites with some authority, along with relevance, to push you towards the top. There is no simple answer for how long it takes. Technically, it’s never done. But with so many variables it’s impossible to provide an answer. What is the current authority of your website? Is your website just a brochure with products, services, about and contact page or have you implemented a content strategy? Is your content strategy aligned with the business, customer intent and interests? Is it relevant or all over in terms of topics? Does it provide value? Does it rank? Do you actively promote more than once when you create content of value? Do you only use social media or do you do outreach too? Do you do content audits to identify what brings some traffic, then further optimize to improve it? Do you proactively use link building to improve your pages that are performing? Do all your links point to your homepage or to inside pages too? Are your links all directories? Are your links relevant and from the right neighborhoods? Are you sometimes optimizing anchor text and pointing to the right pages? Do you use your internal linking structure to further delegate any site authority you may have to further enhance certain pages? That would be a few things to consider. Whether online or offline, businesses use marketing and advertising to create awareness in order to generate leads, with the hopes of converting some into customers. There are paid solutions both online and offline, and some can be a gamble, and some provide more likely results. Some work faster than others, or difficult to replicate the success, and some are costly. For all the things mentioned above, SEO and online reviews, which work together, can provide some great results for small businesses. For those that want results now, your option for driving immediate traffic is paid advertising. If you’re not monitoring and optimizing along the way, you could flush a lot of cash. Paid search and advertising does work well for many, but use caution and always be monitoring and testing to optimize further. It’s a great way to supplement acquiring customers when properly managed. Its certain that not everyone knows, so we’ll also mention that you should make sure that your website has a way of tracking things over time. Many use Google Analytics, which provides plenty of info and is available as a free option. Besides being able to track sources, popular pages, where visitors came from and other info, you can create ‘goals’ by adding a small piece of code to a thank you page. The idea being you can see who converted, which helps you to evaluate campaigns as well as channels to see what works for you. If you’re wondering where to go from here, let’s break it down with a few steps to help you get started so you have a loose plan or strategy by recapping some of what’s been mentioned. 1. Begin with a small competitive analysis. Start by making a list of who you are aware of as your main competitors. Chances are you’ll identify a few more when you start looking into it. Once you have a list, you can refer to it for ideas to develop your content strategy and possible landing pages, along with referencing for keyword research using a tool like SEMrush. 2. Next would be to build out a list of high-level keywords that make sense for your business as a starting point and foundation to future research. Also think of and include potential keywords and phrases that have a logical relation. Using Google Adwords or SEMrush will help you to identify more, along with monthly search volume to help identify demand. A reminder that you don’t want to pursue the big phrases that have higher competition if your site authority isn’t that strong. 3. Begin using your research from steps one and two to develop your content strategy. Start with building your foundation, such as the essentials for information you should provide. If you were to build out at least near a dozen must have topics as a starting point, you would have an acceptable starting foundation, and be able to move on to trying more creative but related alternatives to experiment and try, but keep building out the foundation topics over time. Build your website and brand as a resource, not a brochure. Once you grasp this concept it starts to become easier to develop a content strategy. Always look for gaps in the information and see what you can do to connect the dots so that you provide value to the reader. When you do, you increase your chances of earning links, referrals and improving results to see ROI. 4. Keep working on your content strategy, along with link building to see incremental gains. As you produce more content, you increase the possibility of acquiring more traffic. But keep your content strategy on point, relevant and aim to provide value. Aim to make it worth reading, sharing, and earning a link or two, otherwise it’s unlikely to create results. 5. Remember that a brand (or Rome!) isn’t built in a day, and that it’s a continuous effort that is going to bring you results. By implementing what’s been mentioned as a process and part of your marketing efforts, you will see results over time. A year from now, you’ll wish you started today and kept at it. A strategy is nothing without execution, so be sure to start making small incremental efforts to further your business, and if you monitor and track, you’ll progressively see results that will help you to increase traffic and turn some of those into customers. When it comes to local search, almost 95% will display Google My Business listings and the 3-pack. If you haven’t claimed or do not manage your Google My Business profile page, that’s something to start with. Ensure your NAP details are correct, choose the right category, add photos and business hours. When it comes to local search, almost 95% will display Google My Business listings and the 3-pack. If you’re not taking advantage of this, you’re missing out. Finally, be sure you’re proactively requesting and monitoring online reviews, which help with SEO, and appearing in the 3-pack of local search,. When properly managed, they can do more for a small business than many of the marketing options available. Only about 50% have claimed their Google My Business profile page, and even less with other options like Yelp and similar websites. Effective review and reputation management is a process, and when properly managed a few times per week a business will see more reviews and referrals, along with growth and more customers. If you made it through this entire article and learned something or found value, please consider sharing on social media or linking to it so that others have the same opportunity.